One of my favourite things about Christmas is the opportunity to make loads of stuff. 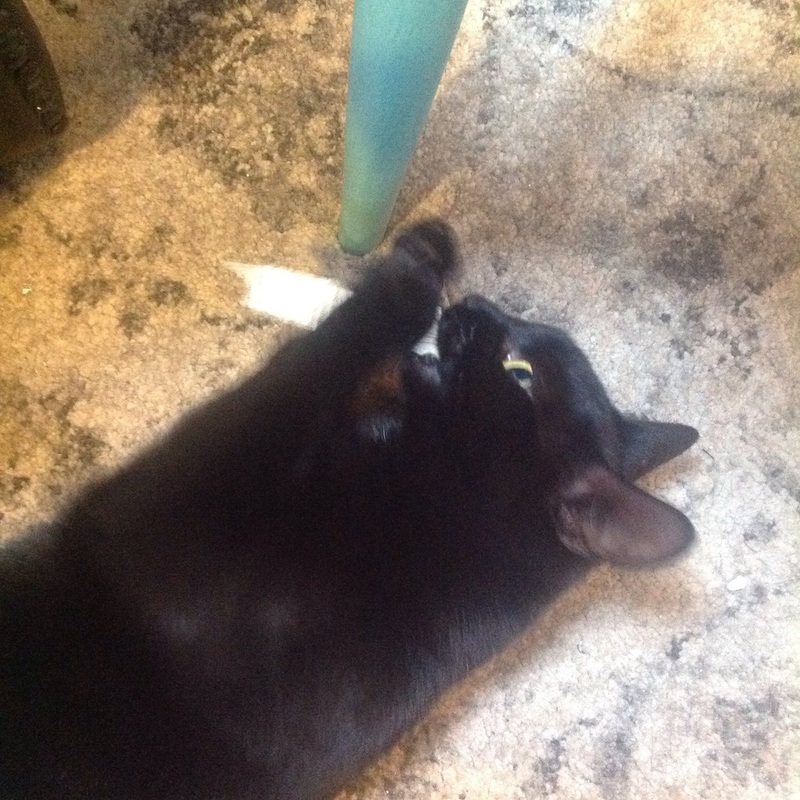 Murph and I started yesterday with paper chains and 3D snowflakes. There are a fair few books in any school library that end up in the bin, either because they're damaged or simply because no one wants them. It's a fair bet that if you can't give them away for free to their target demographic, no one wants them. Making the pages into lovely things makes me feel a lot better about that. I started by stripping the book down, removing the covers and then cutting the spine away. 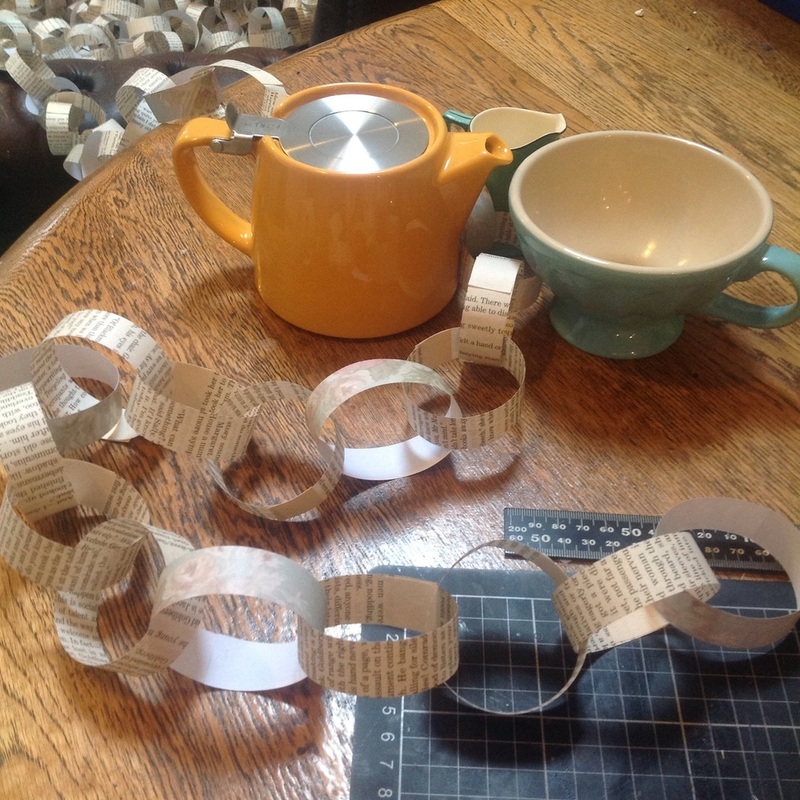 For the paper chains, I cut 2cm strips of paper length ways down the page, the used Pritt Stick to connect the ends. Every fourth chin, we added in a strip of vintage rose paper, printed from a found wallpaper on Google Images, just to lift them and add a touch of colour. There are now metres and metres of chains waiting to go up! 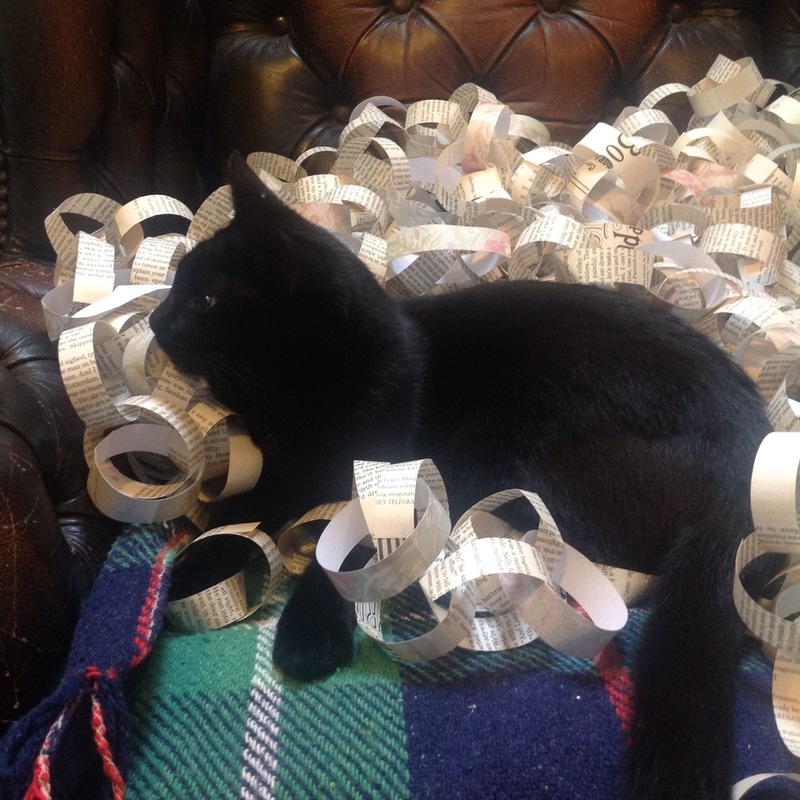 The making was made all the more amusing by the intervention of our smallest cat, Stella, who declared paper chains her favourite thing ever and kept running away with a link in her mouth,mulling the length of chain behind her. Little hooligan. 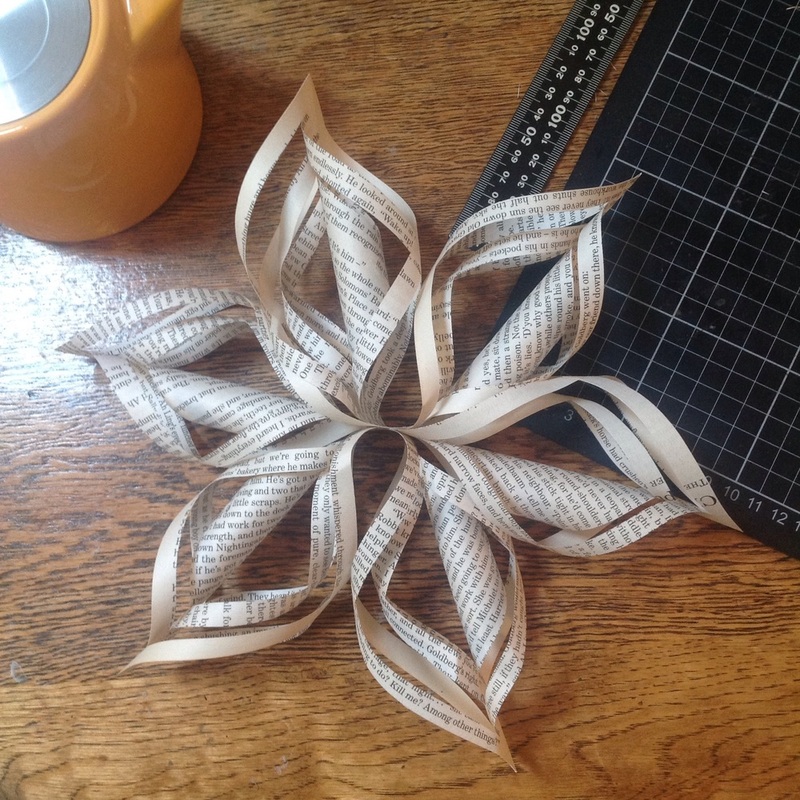 The snowflakes are made from squares of book pages. Ours are 11cm square. These are a favourite in the library too, and by the end of term there will be dozens suspended from the rafters. They look great made out of wrapping paper off-cuts too, or magazine pages. Can't wait to put them all up! * Yes, I know. Every season is for crafting.